American Express is a global services company providing customers with access to products, insights, and experiences that enrich lives and build business success. 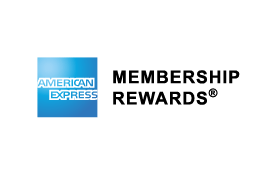 The American Express Membership Rewards® Program allows card members to earn points on purchases and redeem them for rewards and experiences, including travel, shopping, dining, and entertainment. Convert American Express Membership Rewards® points into Skywards Miles and enjoy even more ways to reach your next reward. If you hold an International Currency Card (opens an external website in a new tab), you can also choose to transfer points from this account. You can convert 3 Membership Rewards points into 2 Miles. Enrollment in the Emirates Skywards Program is required. Membership in the Emirates Skywards Program is at all times subject to the Emirates Skywards Program Rules as set out on emirates.com. Transfers will be made immediately, but please allow up to 48 hours for the transfer to be completed. Once a transfer is complete, you can redeem Skywards Miles for a range of rewards. Log into your Emirates Skywards account at emirates.com and follow the online instructions or call your local Emirates Contact Center. Once Skywards Miles are credited to your Emirates Skywards account, changes, reissuance, or re-credit of Skywards Miles are not allowed. Please note no reservation can be made until the Skywards Miles are credited to your Emirates Skywards account. Emirates flight tickets are subject to availability and Emirates Conditions of Carriage and applicable ticketing conditions as set out on the Emirates website. All redemption bookings are subject to the Emirates Skywards Program Rules as set out on emirates.com. All taxes, duties, and carrier-imposed charges (including airport and/or government taxes) are the responsibility of the member and must be paid prior to the issuance of the reward ticket. Payments are accepted in cash or by credit card. Only one Emirates Skywards membership account number can be assigned for the transfer of Membership Rewards® points. Any subsequent change to the nominated Emirates Skywards membership account number is not allowed. Visit the American Express website or call the customer service telephone number on the back of your American Express card for Terms & Conditions that apply.